Inspiring collection of furniture, textiles & architectural artifacts. Over 10,000 sq. ft. of gallery style showroom with the theme of globally inspired interiors. 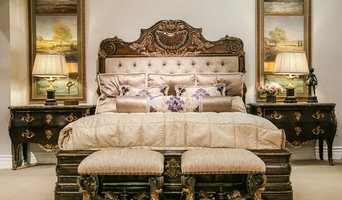 The store is not only unique in the product it offers (antiques, exotic handcrafted rustic furniture, hand-embroidery fabrics & unique architectural artifacts) but also in the setup of the pieces which are arranged to create destinations or "settings" within the showroom. Our hand stitched pillows, bed covers, poufs and ottomans were praised by Craig Nakano in a featured article in the LA Times. 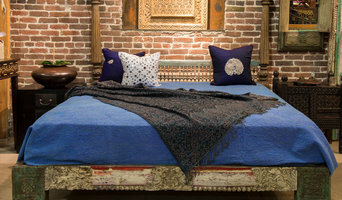 De-cor has the finest selection of hand embroidered pillows, hand stitched and block printed bedcovers, colorful poufs, vibrants scarfs & stoles and many other one of a kind accessories both unique and functional. De-cor also offers custom-made furniture for reasonable prices and is committed to a sustainable business business practice. De-cor uses reclaimed wood, salvaged artifacts, and vintage fabrics for many of its products. We are located in Southern California and ship worldwide. For over 30 years, Susanne Hollis, Inc., a premier antique dealer specializing in pieces from Asia, Europe, and South America in South Pasadena, has provided a tailored shopping experience for Interior Designers and the design minded. Housed in a 19,000 sq. ft. showroom and warehouse, antiques span history and style from China’s 17th century Qing dynasty,France’s 19th century, and Scandinavia 20th century . Frequent travels abroad in search of distinctly unique pieces ensure a consistently replenished inventory. In addition to the showroom’s antiques, Susanne Hollis offers custom reproductions of furniture and accessories, along with on-site refinishing capabilities, Home Staging and design expertise. GDFStudio is an international supplier of a wide range of furniture products with corporate headquarters in the US, and sales and manufacturing offices in Europe and China. With over 20 years of experience, the company focuses on supplying top furniture retailers, commercial accounts, online furniture stores, and interior and landscape designers with quality products in both indoor and outdoor furnishings. We pride ourselves on selling very high quality products, selling them at great prices, and we will stand behind everything we sell. Our current product lines include outdoor wicker & cast aluminum pieces, children's line of chairs & ottomans, & a full line of indoor living furniture focusing on storage ottomans, club chairs, & dining chairs. Other lines include Asian replica cabinets, & many home furnishing accessories. We design & produce our own high quality, affordable furniture collections in a wide variety of styles, always with FREE shipping to the 48 contiguous United States. 11 Ravens is a southern California-based design firm and manufacturer specializing in luxury custom billiards, table tennis, shuffleboard, foosball, air hockey, poker, blackjack, and mahjong tables. 11 Ravens has been featured in Forbes, Robb Report, Inc Magazine, Yahoo Finance, Uncrate, Maxim, Amex Centurion, HIConsumption, LA Times, and The Boston Globe, among other publications. Notable clients include Ellen Degeneres, Steve Gerrard, Steve Harvey, Sean Combs, Wayne Gretzky, American Express, Eleven Madison Park, Caesar Palace, Museum of Ice Cream Miami, MGM Mandalay Bay, Neiman Marcus, Rolling Stone Magazine, W Hotel Bellevue, and Hilton Key Largo. McKee & Company feels that often our highest aspirations for life, family and living are wrapped tightly around the idea of home. For this reason, the goal of our business is to create environments that are both inspiring, and feel as comfortable as a great home! We believe if your home is comforting and inspiring, it doesn’t drain your energy. Instead, it will rejuvenate you to go out into the world and do what you have been called to do. For this reason we want to make the selection of furniture and the entire interior design process equally comfortable and exciting for our clients. McKee & Company is a full-service, high-end interior design firm and showroom based in Newport Beach, CA. We provide products of superior quality – many hand-made by artisans – that are unique, often with stories of interest/history behind them. With over 200 suppliers from around the world, we offer a huge selection of accessories, table top items, and candles, those all-important finishing touches. Apt2B is the hippest and most fun site to outfit your home. At Apt2B.com we aim to offer you a look that has the style, comfortability and functionality to fit your lifestyle. Starring an amazing selection of made in the USA sofas. EZmod Furniture is a direct source of modern classic and contemporary furniture. We carry residential and commercial furniture that can be used in the home, office, retail or hospitality design. We have been in business for several years and we are now excited to expand our reach. We work very hard to ensure that our customers get our great quality products at very competitive prices. We also know that having your purchases delivered to you quickly is your priority. We assure you, this is our priority too. We offer free shipping (in the US) and no tax (except CA) everyday. We also offer a professional designer discount program and complimentary interior designer consultation. To view our additional furnishings, please visit us at http:/www.ezmodfurniture.com and bookmark our site for your future furniture needs. 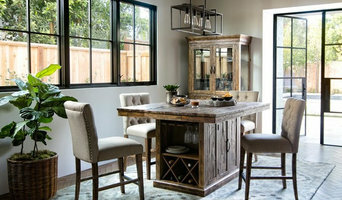 FlatFair.com is a major volume furniture seller in Southern California for over 15 years! As a customer, you get the low price benefit out of our high volume purchasing power. We have fulfilled over 9000 transactions in the past 6 years with over 99% satisfaction rate! Decor Interiors is a modern online boutique catering to interior designers, decorators and homeowners. 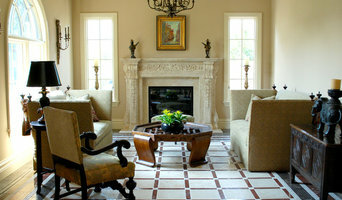 We provide high quality furnishings and personal attention to upscale residential and commercial decorating projects. Whether you're looking for luxury outdoor furniture or industrial to shabby chic tables, chairs and lighting, we can work with you to create your vision and stay within your budget. Free shipping on all orders. Pharaoh has over 30 years of combined experience manufacturing game room furniture. Our commitment to quality, craftsmanship, and innovative design has allowed us to achieve an exceptional record of customer satisfaction. Pharaoh has revolutionized the gaming and furniture business by providing our customers with the unique opportunity to customize their entire game room from top to bottom. Our game room pieces have options for style, color, size, and even design that give property owners the freedom and selection to create the ultimate game room. All our products are handmade using only the highest quality lumber and materials and will give you a lifetime of service. Materials like red oak and maple, Italian wood finish, exotic woods, marble, and stainless steel make our sleek and modern gaming sets stand out from all other gaming and furniture manufacturers. Matching custom accessories are also available such as cards, chips and chip cases, and billiards accessory kits. All these high quality products are found under our different collections, each with their own distinctive style. These collections represent a completely unique, sleek and modern approach to game room sets that will add greatly to your gaming experience. Made with care and precision, Pharaoh products are of the utmost quality. Every piece of furniture produced at our California facility is made with pride by master craftsmen and is carefully inspected before delivery. Call us at 888.545.0066 to speak with a Pharaoh sales representative today. The Alley Exchange launched in 2015 to "Exchange" high quality giftware, & home decor designed by gifted craftsmen & artists that embody nature with a splash of style. Our line has since evolved beyond our animal & nature themed collections, by adding other exciting, artistically designed pieces that also complement the home. The Alley Exchange strongly believes in protecting our wildlife & the environment. Shop our WCN Safari Collection where a portion of proceeds are donated to this cause. Based in the Los Angeles area, we are family owned and operated, lovers of nature & outdoor enthusiasts. We have a passion to hand select & share a unique, whimsical collection not only with the idea of surrounding yourself with nature & art, but also with the idea of bringing the outdoors in. We pride ourselves at giving excellent customer service, fast delivery and being hands on with our customers. Can't find an imported wallpaper on our site? Give us a call and we will do our best to find and beat any price. Check our site often because we are always running new and exciting sales! Z Gallerie helps home design enthusiasts discover their unique home style. Here, you'll find hand-picked art, furniture and decorative accessories, as well as hundreds of looks designed by interior designers and bloggers. For over 35 years, we have inspired interior designers and stylish influencers with cutting edge creations. A catalog, a full online presence at zgallerie.com and 73 stores have established Z Gallerie as the premier lifestyle brand in the fashion home space. Art has been the singular focus behind our design aesthetic. You’ll see it in our adaptations of architectural principles, handmade textiles, and sophisticated recreations of objects from the natural world. Z Gallerie translates the latest fashion into home furnishings with an eye on current styles and their complementary classics. Z Gallerie stores feature an ever-changing collection of stylish designs. Stop in for a quick gift, shop furniture collections or find fresh new accessories. Take a seat and browse the dozens of upholstery, nail head, and wood finish options available for customizable furniture—or just walk our gallery and be inspired. Take your time on any buying decisions. If contemporary is your style, don’t buy something traditional because it’s on sale. Many California home furnishers offer interior design consultations or room planning guides to get you started. Whether you decide to work with a home decor specialist or to become your own expert, it’s important not to rush the furniture-buying process. Visit plenty of Pasadena, CA showrooms and stores so you can feel comfortable with your purchase. Find furniture and accessories manufacturers, showrooms and retailers on Houzz. Narrow your search in the Professionals section of the website to Pasadena, CA furniture and accessories, then choose the nearest metro area for showrooms and retailers. Or you may want to look through California photos to find designs you like and contact the furniture manufacturers and showroom galleries directly.